This will be the last French cleat video for a little while. I’ve had a lot of fun organizing my shop but I think I need to focus my attention away from the walls for a little bit. It is however my favorite of my French cleat projects. 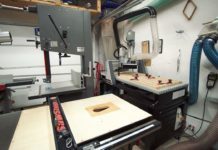 A drill charging station is something I have been wanting for a long time. Traditionally, I’ve always stored my chargers on the countertop in the “kitchen” of my shop. This was not ideal for many reasons. The cords would always get tangled. I could only charge one at a time because the other plug is dedicated for my dust collector. And I would always bury the chargers in junk. Now I have a nice and organized place for all of my drills and chargers. 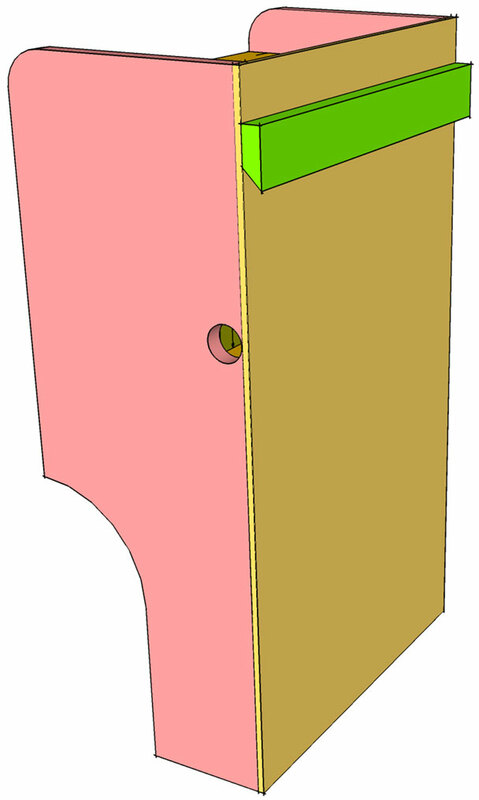 Drill pocket holes in all of your interior pieces as indicated by arrows in the diagrams. If you don’t have a pocket hole jig I recommend getting a Kreg Jig . I’ve had mine since 2009-ish and love it. I find it to be a big help to mark the side pieces where everything will connect to it. 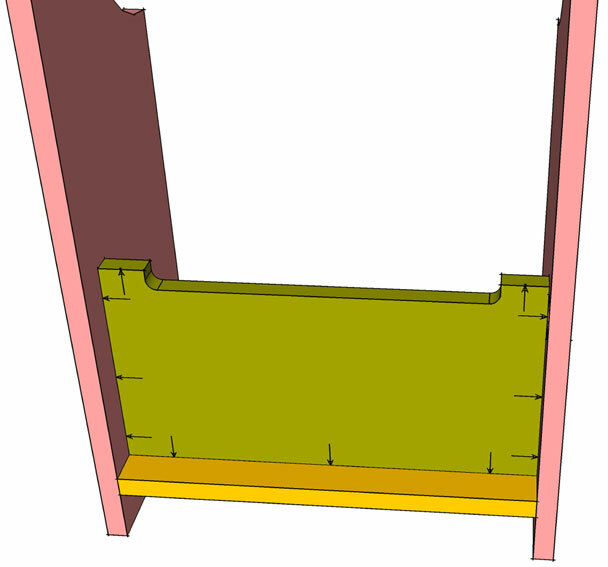 This will help in assembly as you do not have to measure out the location while trying to hold it together. Just line everything up with your layout lines. Start with the two side pieces laying on their back and attach the top shelf. Flip the assembly on its top and attach the cord hiding divider. With it still in the same position attach the charger shelf. 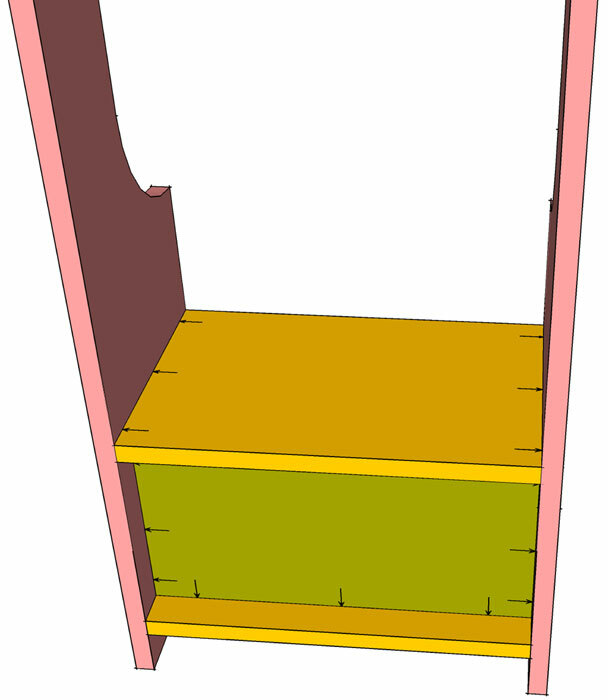 Lay the assembly on it’s front and attach the drill shelf and the lower angled shelf. I just eyeballed the lower angled shelf to whatever looked appropriate. If I were to guess I would say I have mine around 25-30 degrees. 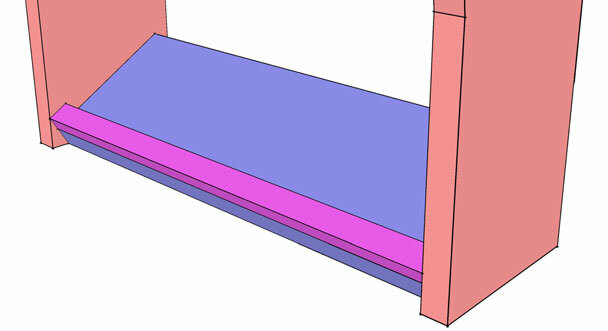 Tack on the 1/2” strip to the angled shelf. Attach the back with brad nails and screw on the cleat. I mounted a power strip below the cord access hole. You can mount yours wherever you want. 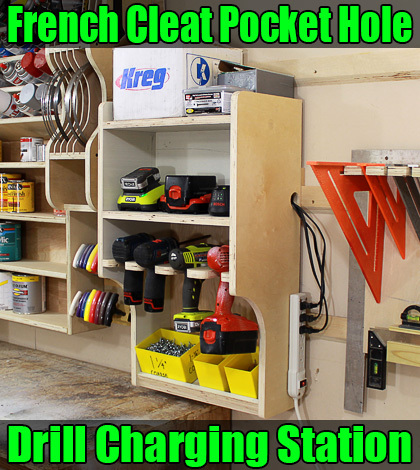 French Cleat Pocket Hole Drill Charging Station. Click here to view the plan. Very cool! I’m actually in the process of making something very similar. 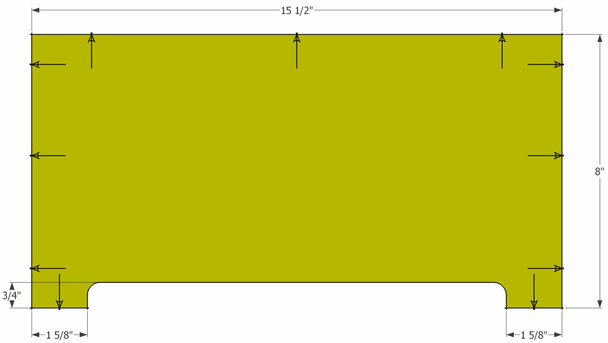 I also plan to make scaled down versions of the blade storage and finish storage cabinets. Your french cleat system reminds me of an old American Woodworker article. 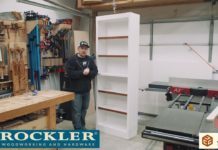 Here’s a little video recap: http://www.americanwoodworker.tv/videos/5157_hyper-organized-shop/. There are some neat ideas for wall-hung tool storage. Great Video and cool music!. Really enjoyed this weeks project! Keep up the great work. Awesome. Thanks for the feedback Jerry. I appreciate it. Synchronising the music to events in the video is really clever – well done! 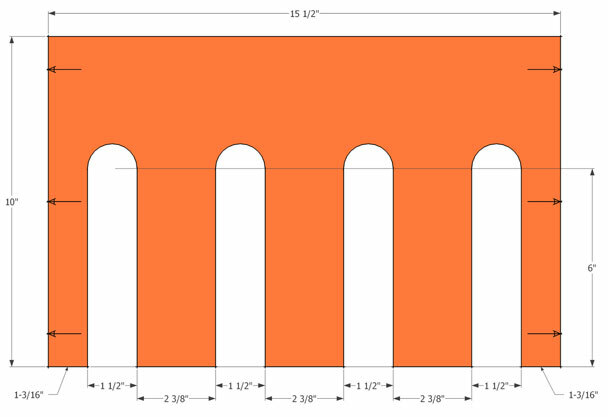 The Ridgid has a rip capacity of 30″ to the right of the blade. I’m returning it though. Trunnion issues. What brand do you think you will buy now? I have noticed several You Tube woodworkers have a Porter Cable. I saw them at Lowes not too long ago but went in today and they don’t even show them available anymore. Do you know anything about that potential? Great vids. Thanks and keep up the good work. Sorry but I didn’t realize you had posted your comment earlier this year. So……..what saw did you buy?? Grizzly G0690. I’ll do an article on it within the next couple weeks. Jay, Great videos! You know I am setting up my shop at our new house and I had drawn everything out and laid everything out where I though it should best fit. Then you brought up the fact that with the French cleat system you could move things around and easily change things. You are dead on exactly right, things change constantly, what might be perfect today won’t necessarily be perfect tomorrow. So I have scrapped my plans and started over, all the walls are getting the French cleats, all cabinets, tool racks, plane tills, everything is going French cleat. I hope you are happy with yourself! ;-p At least I haven’t started the physical part of the project yet, would have sucked getting started and then having to start over, so I guess you saved me. :-) Way to go. Great job on your videos and the website in general. 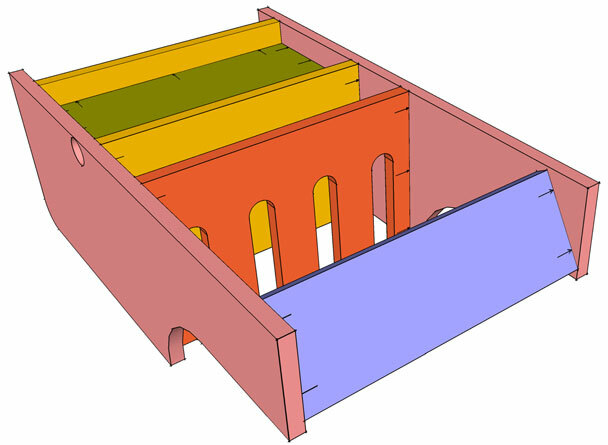 Also love you Sketchup tutorials, really got me going with it, way better than my Sketchup for dummies book. I’ve been designing some clothes closet cabinets and this video was right on the mark for me (French cleats and pocket screws). I recognize the value of the Kreg pocket screws and am pricing the different options. What are your thoughts on the Kreg K5 Pocket-Hole Jig? I’ve never used the K5 but the front lock lever looks really handy. Hey jay, i am 12 years old en i made this awesome drill charging station! Hello Dwight! I’m glad you found it useful enough to make it! Thanks for stopping by. Jay, awesome charging station. Have you considered modding the plans to allow the power strip mounted under the top shelf inside the dead space and leave open the back for access to the reset and only have the power strip cord come out. Then all the wires would be hidden in the void. If for some reason the strip trips you can take the station off the wall. 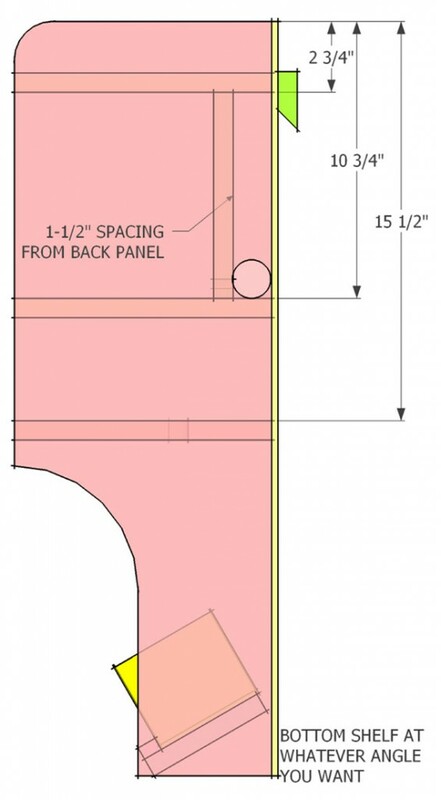 How do you print the plans ? The plans are in PDF format. Open them and click the print icon and it will print to the printer that is connected to your computer. Can I buy your SketchUp files? Thanks! No but I’ll email it to you. I like this charging station. Adding it to my list of things to make. 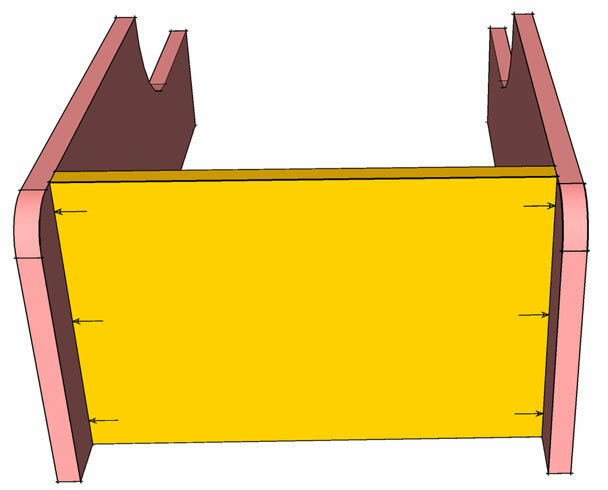 Would a jig-saw work well if I don’t have a band-saw? I suppose I could make everything square instead of round. 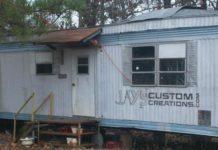 I’m building my shop in my new-to-me house. This station looks well thought out and useful. I’m in the process of completing my charging station using Jay’s as a model with some minor mods. Using cleats for a hanging system as well. Have also made a small enclosed shelf adjacent to the charging station to hold all of my not so expensive bits in small stacked plastic storage boxes. Nice to have everything all together and within reach. Thank you Jay!! Great article and YouTube video. I’ve watched the video a few times. 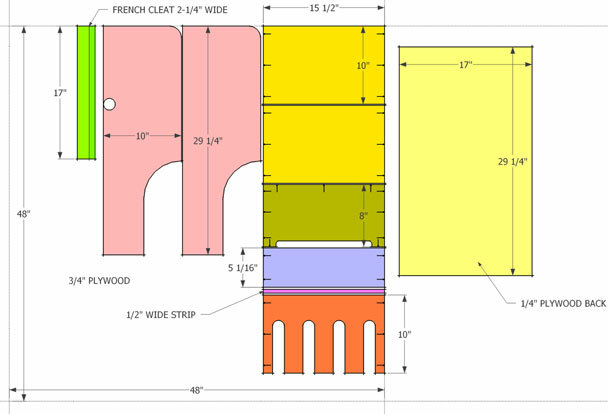 I’m getting ready to install a french cleat system in my basement workshop. It is really in need of organization. I plan to incorporate your charging station into a design I found in issue 132 of Shop Notes magazine. I’m just trying to figure out how to attach everything to the concrete and cinder block walls. I’m thinking of Tapcon concrete screws. I really like the design. I’m pondering how to incorporate storage for my 6.5 in circular saw and my recip saw in the same station. Hi Jay, great project. Spent Australia Day down under building one. The best kind of workshop thing, simple, effective and functional.